Each hike is different, but generally speaking, Taiwan’s mountains are much steeper and more difficult than other famous ones throughout Asia. We’ve given them difficulty ratings to help you decide which one is best for you. If you’re still not sure, get in contact with us and we can help you to find the trip that best suits your needs. What kinds of hikes do you do? We essentially run two kinds of hikes. Private Hikes – Our company focuses on privately commissioned, fully customizable hikes. From a couple to very large groups, we take pride in working with you and your group to give you the best experience possible. Group Hikes – A few times a month, we offer public, group hikes. This is where most single travelers will want to look. You can sign up by yourself and join a group of no more than 14 others. The dates are fixed for this kind of trip. Check here for our upcoming events. How do I secure place on a group hike? To secure your place, you’ll need to fill in the registration form and send us full payment in advance. The registration form can be found in the event’s description. The leader will then contact you and give you payment information. Will you carry my equipment? Not unless something happens so that you are unable to carry it yourself. Everyone will be expected to carry their own gear and sometimes a portion of the group’s gear. We don’t usually arrange portered hikes unless it is specifically asked for. This depends on each specific hike. Your guide will give you a list of essential and recommended equipment when you sign up for the hike. If you’re short of equipment, let us know. We have equipment that can be rented. What happens if you, Taiwan Adventures, cancel a trip? This usually only happens if a trail gets closed at the last minute or if a typhoon is going to make landfall. If that does happen, we’ll offer a full refund, a different trip or rearrange the trip for another date if possible. Please note we won’t cancel a trip for the weather unless we deem it unsafe. If the forecast is for rain, the trip still goes ahead. Private group prices include pick up and drop off to any one location in Taipei. Group hikes require everyone to meet at an MRT station at a specific time. What’s the weather in Taiwan like? The weather varies significantly from place to place. For lower elevations the winters are cool/warm and the summers are hot. In the high mountains it is cold/cool all year round and very cold in winter. We’ll let you know what equipment you’ll need for the weather in advance of your hike. How many people will be on a hike? This will depend on the hike, but in general, for group hikes, we have a maximum of 7 clients per guide. Will we encounter dangerous wildlife? It’s unlikely. There are black bears in the high mountains but they are rarely seen and are very shy of people. Taiwan does some dangerous snakes and wasps. Your guide will explain these dangers and how to avoid them during you prehike safety meeting. We’ll arrange accident insurance to the value of $2 million NT for the duration of your time with us. However, it’s important that you also get your own travel/medical insurance too and make sure that you are covered for the activities you are going to participate in with us. 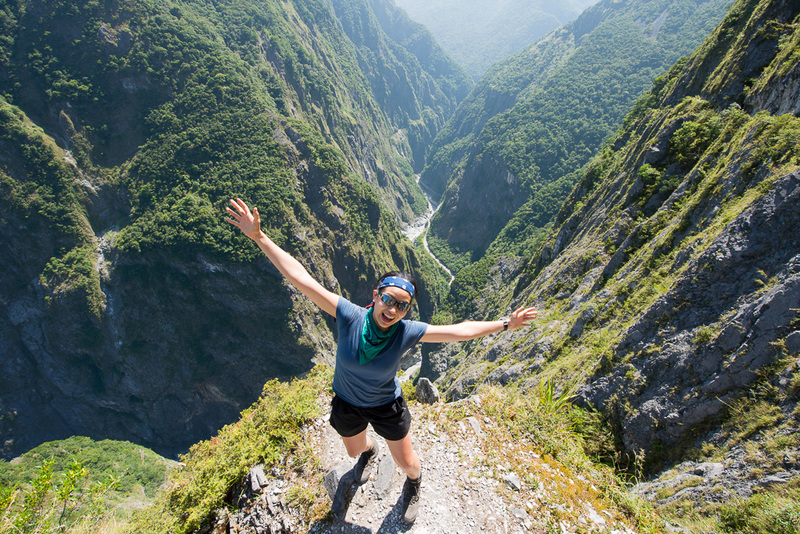 Our partners at World Nomads are able to provide insurance for hiking activities. I’m vegetarian/vegan - is that a problem? Not at all. Just let us know and we’ll make sure the food is suitable to your needs. For prearranged trips, we’ll set a date that you need to register with us before. Once that date has passed, we can’t add any more people to that trip. If you wish to hike in any of the national parks, the sooner you get in contact with us, the more likely it is that we can secure permits. We can’t apply for permits less than a week before the trip. If you intend to hike Snow Mountain or Jade Mountain especially on a weekend, you’ll need to contact us at least one month in advance otherwise there is very little chance of us getting a permit. It depends on the trip. Overnight hikes usually involve basic cabins or rough camping. For trips to Neiwan, Taroko Gorge, Smangus and Guguan we can arrange camping at a campsite with facilities or hostels/hotels depending upon your requirements. Send us an email at info@taiwan-adventures.com or complete the contact form and we’ll get back to you as soon as possible.